As you go to the Opportunity standard edit page, when you change the value of Stage field, the Probability fields value change accordingly like 10% or 30%. But the same functionality is not inherited by the VF page, so to perform this standard functionality we need to modify our VF page, as I have done. 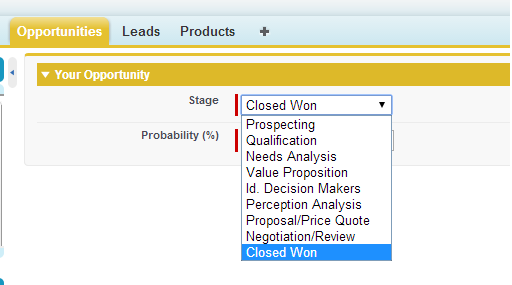 Here the Probability field values changes with Stage value, as salesforce Standard functionality does. Works like a charm. The thing mentioned above and the thing i needed.